Oakbank RCMP are looking for a man and a woman who are accused of cashing dozens of cheques stolen from mailboxes at homes in Selkirk, surrounding rural communities and Winnipeg. Brady Laverdure, 29, and Ryan Fortescue, 44, were arrested in June after RCMP received more than 200 complaints of stolen mail from people in the rural municipalities of Springfield, St. Clements, East St. Paul and Selkirk. 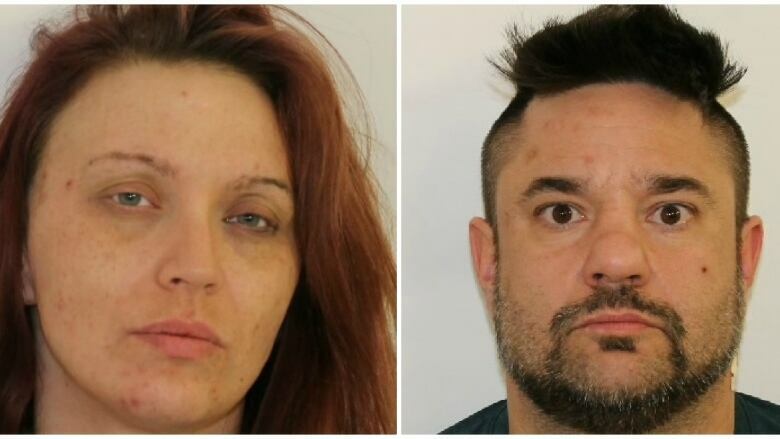 Laverdure and Fortescue allegedly forged their names on the stolen cheques and then cashed them, police said. Some of the cheques came from mailboxes in the Winnipeg area, police said. The two are now wanted for failing to comply with a court order, and Laverdure is also wanted for obstruction of justice. Anyone with information is asked to contact Oakbank RCMP at 204-444-3847, or call Manitoba Crime Stoppers anonymously at 1-800-222-8477. You can also submit a secure tip online at www.manitobacrimestoppers.com, or text TIPMAN plus your message to CRIMES (274637). Missing man's truck found badly burned near Stead, Man.